I discovered the Gowanus Batcave a little too late since redevelopment construction had already begun. However, I was still able to get some photos of the exterior before the building began its outer transformation. These photos were taken last spring, so the building probably looks much different now. 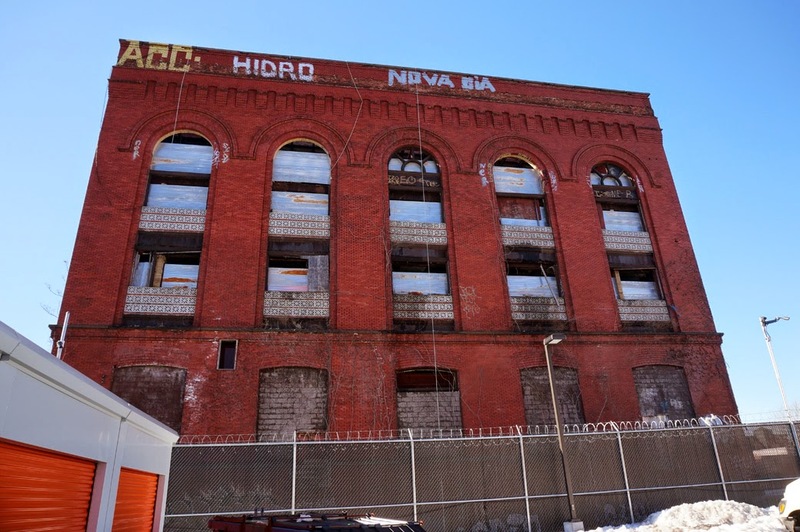 For the past couple of decades the Gowanus Bat Cave was a roost for local bats, as well as a squatter refuge and party/concert venue but the building was originally built as a factory. The factory housed the Nassau Sulfur Works, Smith and Shaw Mattress Materials and Paper Stock. In 1904 the building was purchased by the BRT and repurposed for use as a coal fired power station for the Brooklyn Trolly System. After the demise of the Brooklyn street cars the power plant was no longer needed and was converted into an electrical substation and switching yard by the MTA. 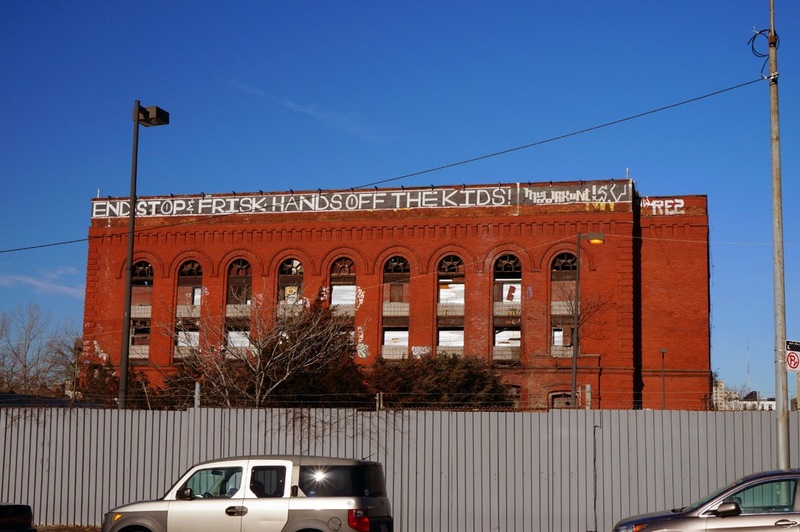 The red brick building with Romanesque Revival details was constructed in 1896 and was abandoned in 1996. 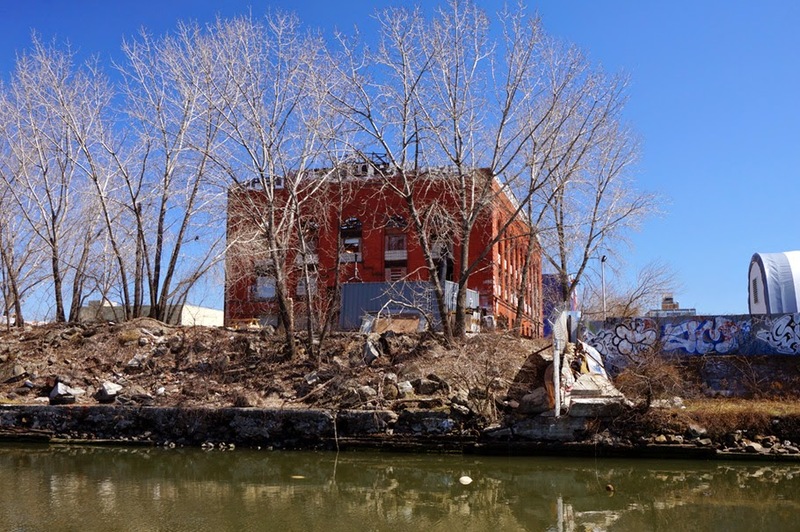 After being abandoned, local squatters from Brooklyn and Tomkins Square Park, followed by others from various parts of the country moved in and began making improvements, including a sanitary system utilizing rain water and electricity pirated from the Carroll Street Bridge. Shortly after being converted from bat cave to squat the building turned into a heroine shooting gallery gaining notoriety in 2006 when a Daily News article exposed the lifestyle and living conditions of those who had taken up residence there. Included in the article were details of the interviewees shooting up during the interview, overdoses and a man being thrown from one of the upper floor windows. 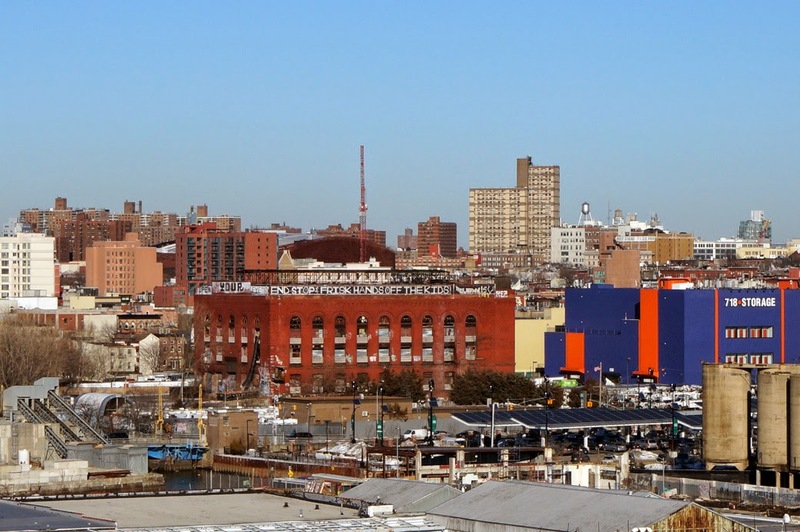 At the time of the article there were plans to redevelop the site into luxury condos called "Gowanus Village" and the developer had no interest in allowing the party to continue. The building's entrances were sealed and a guard was posted. However, plans to redevelop the site were later abandoned, allowing the Bat Cave to continue its slow decline. Then, the building was purchased in 2012 by Joshua Rechnitz, a reclusive, camera shy philanthropist and cycling enthusiast with plans to convert the place into artist studios. As of my last visit to the Bat Cave construction was under way and although I could have gained access to the site by boat, there would have been little left to see inside the building. Some of the best interior photos can be found on Untapped Cities. 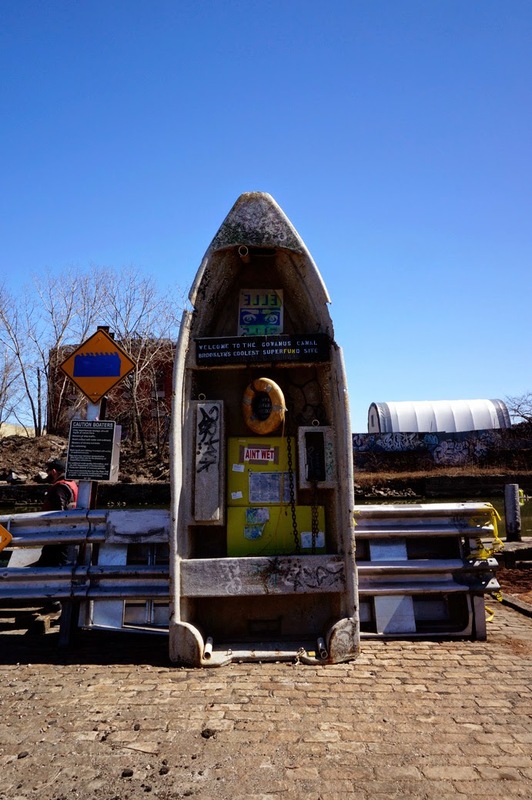 Those interested in a tour of the Gowanus area by boat can visit the Gowanus Dredgers Canoe Club located directly across from the canal from the Bat Cave.